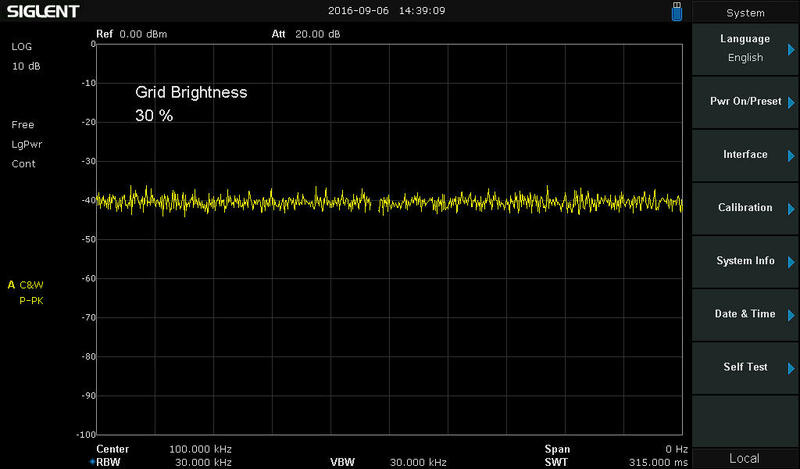 The Siglent SSA3000X spectrum analyzer can be configured to display amplitude and frequency with logarithmic (log) scaling. 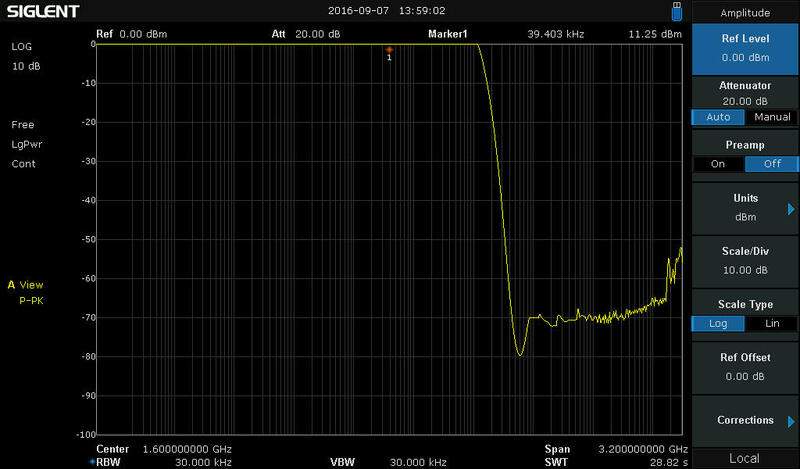 Vertical (amplitude) scaling on a spectrum analyzer is typically shown in log scaling with dBm as units as a default. The Horizontal (frequency) scaling is typically linear, but some applications prefer log frequency scaling. Figures 1 and 2 on the following page show how the change in scale will alter the displayed data and grid lines. Figure 1: Screenshot of an SSA3000X with linear horizontal scaling. Figure 2: Screenshot of an SSA3000X with log horizontal scaling.